While the standard analog phone has shifted out of favor in most homes and businesses, a variety of other phone systems have stepped in to take its place within the commercial automation sphere. Whether you prefer to keep your voice and data separate through the use of digital voice line technology, or appreciate the combined and streamlined approach offered by the latest Voice over IP (VoIP) technologies, our phones are far more capable than those of yesteryear. 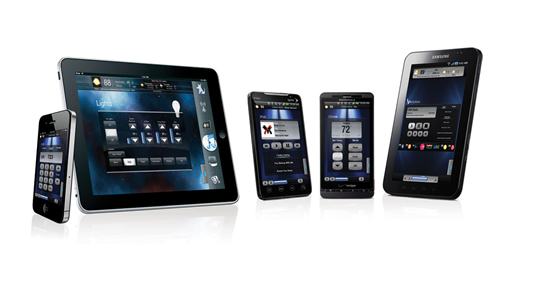 Whether you are looking for a comprehensive business system integration solution, or flexible home automation technology, we can work with you to design a system that will work seamlessly with your other home and business automation services. Don’t feel limited by the idea of a traditional phone system when so many options are now available. Sometimes it is easier to build from the ground up. If you are considering a complete overhaul of your current phone system, the latest advances in phone and switch technology can provide a crystal clear sound regardless of the number of phones on the system. For business, having a physical phone available can provide a number of benefits. Besides multi-line capabilities, programmable speed dials, and conference call options, today’s VoIP phones can provide access to internal phonebooks and custom screen configurations. Never miss an important call again. Instead, integrate all of your voice-based communications into one system, allowing you to access calls to any line regardless of your location. Take business calls through your cell phone, computer-based soft phone, or on a traditional landline, even when you are on-the-move. New phone systems can easily support the functions and features available in a variety of phone models. This allows you to choose the best phone for the job instead of making every employee bend to a single standard. Expansion models are even available to support positions with unique needs. Don’t be restricted to a system that only allows you to communicate in one way. Today’s VoIP phone systems provide the flexibility to use a variety of devices to serve your ideal purpose, limiting the need for redundant equipment to support multiple forms of voice communication. Just because the technology is top-of-the-line that doesn’t mean your preferred form factor isn’t available. Whether you prefer a traditional or wireless phone, or have the need for conference phones, the traditional forms remain available with a new contemporary flair.